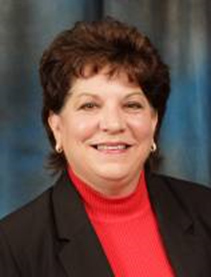 Judy began her career with The Koptis Organization (TKO) in 1975. She serves as both the Chief Operating Officer and Chief Financial Officer of the company. She is responsible for overall operations including marketing, strategic planning and daily management of the firm. She oversees all financial and accounting decisions within the corporate structure to help control costs and maintain profitability. Having earned her certification in “Fundamentals of Life Insurance” from Life Office Management Association (LOMA) Institute several years ago, she continues to stay current with the regulatory and compliance issues that are ever changing in the financial and insurance industry. In December 2006, The National Association of Insurance and Financial Advisors (Cleveland) selected Judy as “Assistant of the Year”. She was honored at a luncheon attended by her associates, her peers and her family. Judy is admired for her work ethic and business acumen. Over the years she has trained and mentored numerous staff members. Her warmth and friendliness are well known by our clients and vendors. Judy resides with her husband, Jim, in Marblehead, Ohio. She enjoys boating on Lake Erie with family and friends.